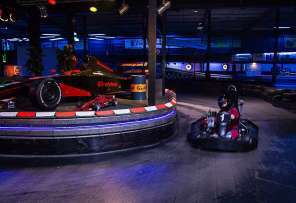 Silverstone offers you Go-karting on a spectaculair and challenging racing circuit, Laserquest in one of Europe’s biggest lasergame arena’s., Bowling on one of our latest Disco Bowling alleys, dining in several Theme location, organising Children’s parties and a lot more. Holland’s greatest Karting track ! The most extreme laserquest arena in Europe ! 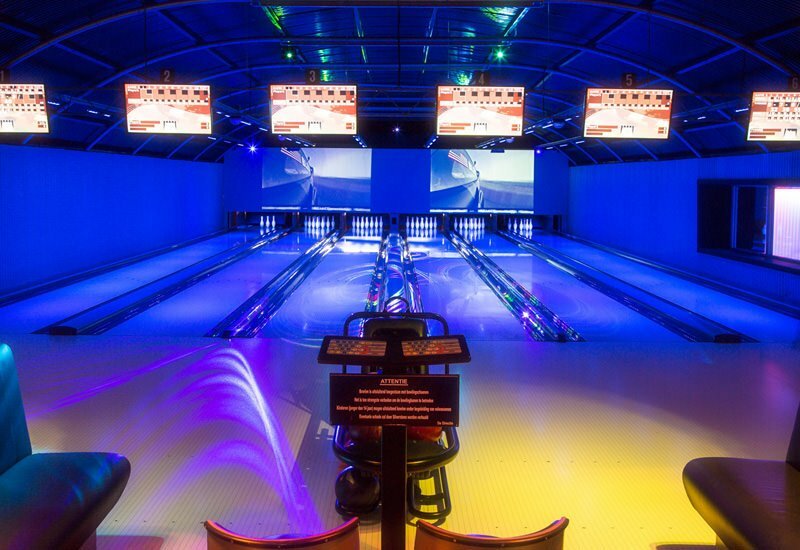 Spectaculair LED Bowling alleys ! One of the most enjoyable Partycenters in the Amsterdam area ! At Silverstone you race on one of Holland’s fastest indoor tracks. You will enter many spectaculair corners on ground level, combined with the 1st. floor. The circuit is 552 meters long. The karts are of excellent quality. You ‘ll experience the real racing feeling, without us losing site of your safety ! 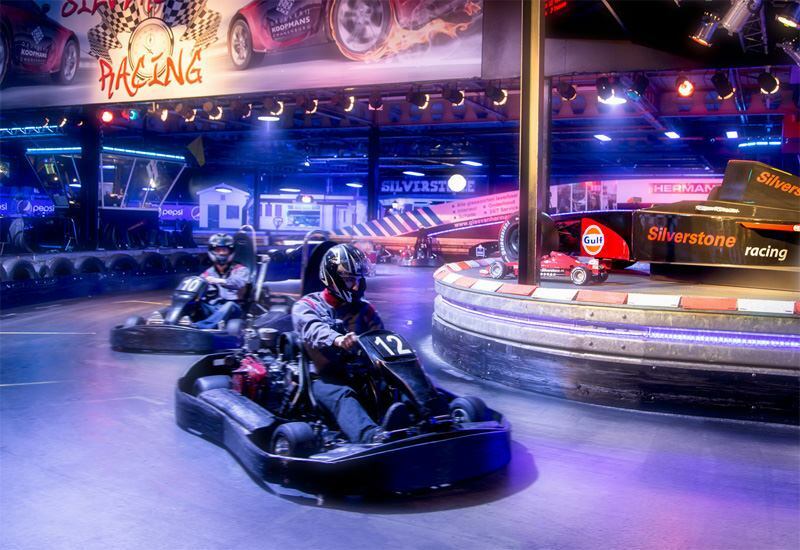 At Silverstone Partycentre you’ll play in one of Europe’s biggest and most attractive lasergame arenas. Fancy a world, you did not realize it existed, a futuristic world of 1700 square meters. 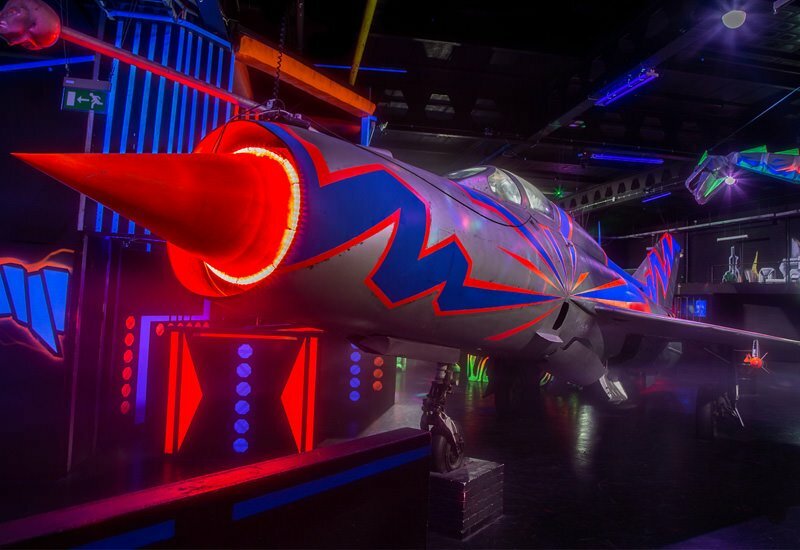 Feel your adrenaline rush, while you ’re fighting next to an original MIG-21 jet and many terrfying creatures. Amaze your friends or collegues with a super strike, on the pretty and attractive bowling alley and watch your friend’s blunders from our cosy cafe. Bowlen is a teamsport and therefore is a perfect match, combing it with the other Silverstone activities. Everything is possible. At Silverstone you race on one of Holland’s fastest indoor tracks. At Silverstone Partycentre you’ll play in one of Europe’s biggest and most attractive lasergame arenas. In the The Knight’s Hall you’ll experience the special medieval atmosphere. Here you can dine at solid wooden tables. The harnasses, cover shields and swords will bring you back again to the days of the knight’s. As soon as you enter The Pub, you’ll feel straight at home. The easy-going atmosphere and cosiness is first of all. The ideal location to socialize with your friends, colleagues or business partners in a different and informal way. In the Grand Cafe you can eat & drink, without missing anything of the activities at Silverstone. Our Circuit Restaurant is raised somewhat to give you a better view of the karting circuit.